At this age, children are highly impressionable. They are like sponges soaking up the knowledge of the world around them. They continue to improve their coordination, learn complex games, and begin to interact more with their friends. A typical day in the classroom, children will enjoy table-top manipulatives, puzzles, blocks, dramatic play and a morning visit to "Circle Time," where teachers and students practice conversation and listening, rhymes and rhythms and short stories. Throughout a fun-filled, active day children will work on building academic skills and have plenty of opportunities to explore our learning centers so they can learn through play. This type of play promotes independence, encourages decision making, increases self-confidence, and develops social skills. When working in groups, children are encouraged to explore and discover, work together and celebrate each day's achievements. In addition to learning centers, your child will engage in various hands-on activities that will encourage them to explore, inquire, and discover solutions. Our program gives them the guidance and the tools they need to explore and learn in a comfortable, safe, and secure environment. 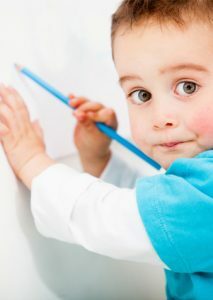 The Creative Curriculum for Preschool, aims to promote a student’s social, emotional and intellectual development. Our Bible curriculum, The Beginner’s Bible, introduces children to the stories and characters of The Bible with engaging stories, fun activities and animated videos. Emergent Curriculum, a program that focuses on the individual learning needs of each child. Because preschoolers (typically 3-4 years old) are more adventuresome and curious about their surroundings, our teachers stay one step ahead of their students. Each day is thoroughly planned out with a variety of hands-on activities to encourage learning and socialization. At this time we put extra focus on self- awareness for each child. We also foster independence by helping children master self-help skills. Understands the concepts of "same" and "different"